For this post though, let's just forget the politics for a moment and focus on seawater desalination and some of its issues seldom mentioned on different sides of the argument. Let's review some of the not-so-new facts. 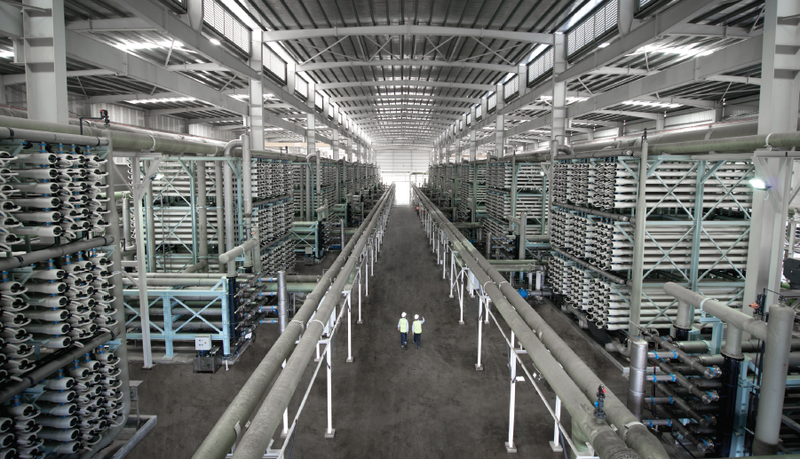 Seawater desalination is one of Singapore's "four national taps" to supply drinking water. It converts seawater into drinking water using reverse osmosis (RO), a membrane process which pushes seawater against a semi-permeable membrane. The membrane's tiny (talk about sub-nanometer size) pores allow water molecules to pass through while retaining other "impurities" e.g. salt. This process requires a high pressure (say 800-1000psi) (and hence high energy and high cost) in the case of seawater. This is darned important! Fluctuations in the raw seawater quality can reduce the useful life of the membranes (say about 7-8 years). Various organic and inorganic compounds can cause the membrane to foul, scale and degrade. Of course, their concentrations matter. In addition, since membrane pores and channels are so small, large particles (as in larger than molecular size) can get stuck inside easily, necessitating more frequent cleaning or leading to shorter life span. Aggressive water quality monitoring (WQM) of the seawater intake. Though probably not as extensive as WHO drinking water quality parameters, we can still expect 50 or more parameters to be monitored as frequently as practically possible. Don't go cheap on pretreatment! The raw seawater has to be treated by other means before reaching the RO membranes. In the case of Tuaspring Integrated Water and Power Project (IWPP), the raw seawater is screened through 3 layers - 20mm, 2mm & 0.1mm filters BEFORE going into ultrafiltration (UF, NOT RO) membranes. In the case of Singspring Desalination Plant, the raw seawater is similarly screened, coagulants added, goes through dissolved air floatation and gravity sand filtration before reaching the RO membrane. If the above processes look like those of a typical waterworks, you are right! The only thing missing from a waterworks is the RO membranes to remove the salt from the water. However, there are environmental concerns to grapple with. Will this concentrated salt solution disrupt the local ecology? Incidentally, the concentrate also has a slightly higher temperature than ambient so this slight raise in sea temperature may be an issue too. In case you thought that the RO process in our local desalination plants is accomplished by one set of membrane, you are wrong. In fact, it is carried out by 2 sets of RO membranes. The first set (aka first pass) handles the seawater using high pressure and low recovery (~ 50%) to produce a reasonably fresh water with low salt content. This fresh water is sent to another set of membranes (aka second pass) using low pressure (as low as 100psi) and high recovery (~ 90%) to produce the ultrapure water. 1. Too pure for its own good? Those of you familiar with RO water know that it is pretty aggressive, in other words, it is so pure that it can react easily with other materials in contact e.g. piping, storage containers. This creates corrosion problems and leaching of undesirable chemicals e.g. lead. To make it less aggressive, chemicals have to be added after membrane filtration to "remineralise" the water and adjust its pH. Carbon dioxide and lime are common additions to adjust its pH to drinking water standards (~6-9) and achieve a reasonable level of alkalinity (~ 60mg/L CaCO3). Don't forget, in Singapore, fluoride addition in drinking water is mandated of our Ministry of Health (MOH). So yes, fluoride is also added. Of course, chlorine is useful in keeping the water disinfected as it travels through miles of piping in the distribution network. You do not want to find a load of germ laden water coming out of your tap even though it is free from germs after desalination. Therefore, chlorine and ammonium sulphate are added to produce the right mix of chlorine and chloramines to give that desired level of residual chlorine. 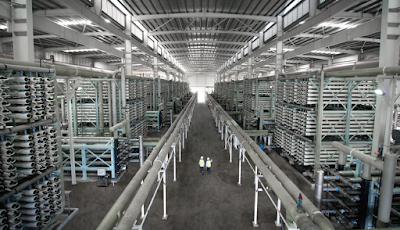 The above descriptions serve as a quick introduction to the world of desalination. They certainly do not cover everything (e.g. 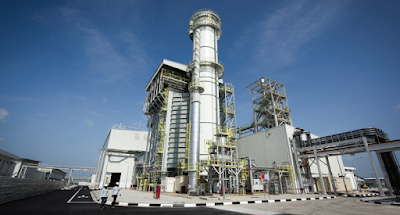 I did not mention about pilot testing even though it is quite important before a full-scale plant can be set up.) but they serve to remind us that desalination is more than just dollars and cents or only about RO membranes. If anyone is interested to enter further into the world of seawater desalination, I hope you will be happy to know that I intend to organise just such a workshop in June 2017. 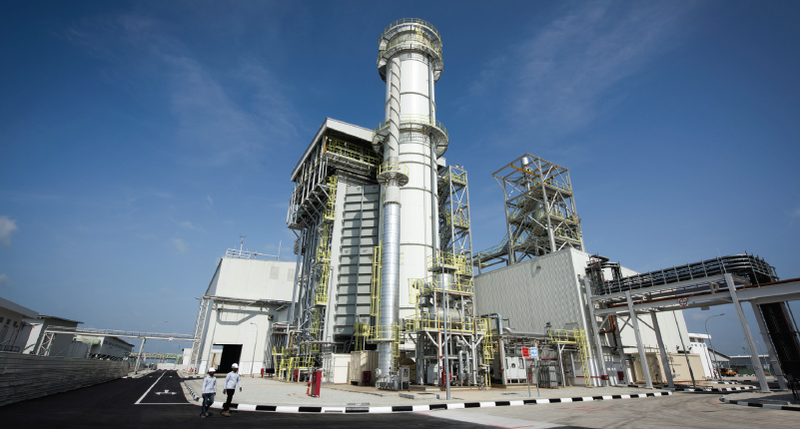 It will include a solid introduction to the issues surrounding seawater desalination plus a field visit to Singapore's 2nd (but still the latest) desalination plant - Tuaspring. Workshop registration is now live. Find out more here!